As a consultancy for international recruitment projects, which involves constant travel and long-term stays abroad, we have become sensitised to the needs of people who for various reasons are socially disadvantaged. We have also witnessed what aid can do. Therefore, we want to bring about positive change and support social projects with an international focus. Departer supports the Germany Helps and Donates campaign for the reconstruction of infrastructure in Nepal following the two devastating earthquakes in 2015. A devastating earthquake left a massive scale of destruction in Nepal. Hundreds of thousands of people are left with nothing from one day to the next. 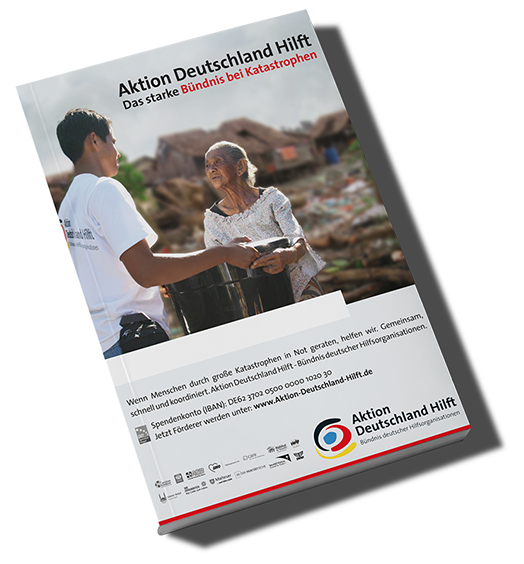 Aktion Deutschland Hilft – Germany‘s Relief Coalition renders emergency assistance to the people – with foodstuff, drinking water and medical assistance.